‘This little Island packs a big punch. With adventure around every turn, beauty that’s hard to even believe and food that is out of this world, Prince Edward Island will charm you from tip-to-tip’. Summer 2017: Oceans and seas intimidate me so when family decided on a maritime adventure I was skeptical of stepping on a ‘pie’ embedded in the ocean. The size of Prince Edward Island compared with rest of the ‘Forgotten Sisters’ was not very persuading but touristy ‘punches’ weakened my resolve and we winged our way to the North East corner of Canada. The flattering way to appreciate the Maritime is to barge in (ships) like the Vikings, the Scots, the French and British and traverse the Acadian fantasies, Nova Scotia, New Brunswick and Prince Edward Island. We did it the modern way….four wheels… for exhilarating land ventures along Nova Scotia and Cape Breton Island coastal towns and villages with overnight stopovers before crossing over to Prince Edward Island and New Brunswick. PRINCE EDWARD ISLAND: There are 3 entry points to the Island.The first/last entry/exit point is from New Brunswick on the dramatically spectacular Confederation Bridge spanning the Abeqwelt Passage of Northumberland Straits. The 12.9 km Confederation Bridge is a quick, convenient, and riveting way to arrive or leave the Island from Borden –Carleton on the southwestern edge of PEI. For us it was exit point for New Brunswick (Bay Of Fundy). Second Island entry is Charlottetown Airport from any airport in Canada. Number 3 entry is from Caribou (Nova Scotia) to Wood Islands (southeastern region of PEI) via Northumberland Ferries, a comfortable crossover similar to Vancouver ferries. A lunch stop at Pictou, a heritage seaside town of Scottish immigrants who had sailed here in The HECTOR after their 11 weeks of ordeal across the Atlantic i 1773. A replica of HECTOR is located at Heritage Quay, Pictou harbor, and every year a Maritime festival is held to commemorate the arrival of the Scots in ‘New Scotland”. .T he advantage of the hotel is its site, heart of Downtown, with easy access to memorials, business and commercial centers, parks and walking trails. It was 9 pm and still too early to call it a day. Our first evening on the Island was turning into an indulgence as we sat amidst tourists and locals hidden in dark wooden interiors of ‘Gahan House’ the popular downtown restaurant on Sydney Street, relishing the in –house favorites, Nachos topped with Sangrias and ales. We were glad to have included PEI in our itinerary. Day 2…History of any country is my weakness and if linked to Colonial times all the more interesting as I tend to draw parallels to British rule in India. Here to the British outsmarted the French… the first of the Europeans to claim the Maritime including Prince Edward Island in 1604. They established the colony of Acadia and renamed the Island Île Saint-Jean. The British soon followed displacing the French from their adoptive lands renaming towns and villages. The Original Inhabitants in this colonial power struggle, the Mi’kmaq, were mere spectators watching the division of their ‘Land cradled by the waves’. According to Mi’kmaq legend the Great Spirit placed some dark red crescent-shaped clay on the Blue Waters forming the island with red clayey soil, the distinctive feature of Prince Edward Island. 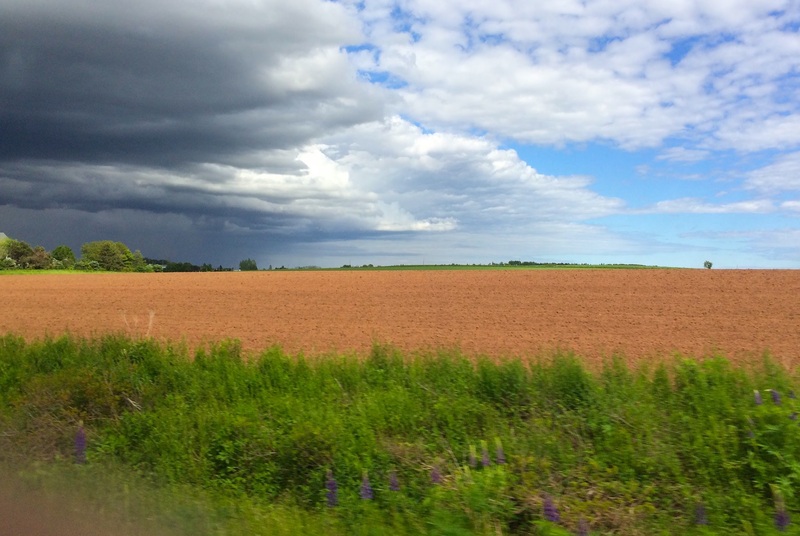 This rich soil, a lure for immigrants across decades, explains the population density of PEI despite being the smallest Canadian Province. The Mi’kmaq had accepted the French as trading partners and allies but did not recognize their claim to land. Ultimately it was the British who gained control over land that did not belong to them. Another name change and in November 1798 St. John’s Island was named Prince Edward Island for Prince Edward Augustus, fourth son of King George and father of future Queen Victoria. PEI became a hub for the fashionable Victorian nobility looking for adventure. 48 hours in Charlottetown, capital of PEI, was a window into the quintessence Victorian elegance of the city that was originally the county seat of Queen’s County in 1764. The name change to ‘Charlottetown’ was in honor of Charlotte Mecklenburg-Strelitz, wife of King George III. 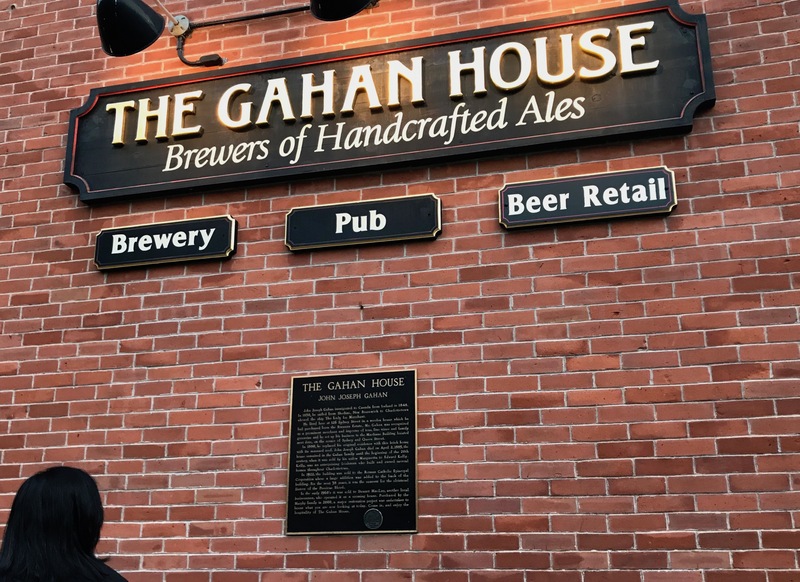 By now, ‘Google’ familiar with local colonial history, we set out on a ‘vintage walk’ of city landmarks starting with Province House National Historic Site, the birthplace of the Confederation and provincial legislature, at corner of University Avenue and Grafton Street. From here sauntered to Victoria Row, a street mall close to the Confederation Center of the Arts on Richmond Street between Queen and Great George Streets. During summer months this Victorian era cobblestone street is a pedestrian street flanked by boutiques, restaurants, art shops. The Confederation Centre of the Arts, a concrete gift to the ‘Fathers of Confederation’ by the governors of the ten provinces, is one of the 22 national sites of Canada in PEI. At time of our visit (June 2017) the Centre was undergoing renovation. The Centre presents live theatre, including the Charlottetown Festival during summer months and by coincidence the Charlottetown Festival is dominated by one of Canada’s or PEI’s longest running musical the Anne of Green Gables. The author, Lucy Maud Montgomery, a native of Cavendish, PEI, has showcased the magnetism of her land through the antics and life of Anne. This was on our must visit lists after we had done with the city. The other places of interest is the Island’s first Protestant Church St. Paul’s Anglican (1747); St. Duncan’s Basilica, seat of a Roman Catholic diocese and the Veterans Memorial on University Avenue in Queens Square Park. The Memorial is a tribute to the soldiers of the three Wars, 1st, 2ndWorld Wars and Korean War. Heritage and panoramic presentations compensate for lack of concrete towers as we stroll the scenic Victoria Park and Peakes Wharf Historic Waterfront where the Confederation fathers had first landed in 1864. The inimitable shops dotting the waterfront are the best way to divide time between Heritage Walk, Boutique Shopping Walk and Waterfront Walk. Splurge on world-famous slurpy Cows Ice Cream, handcrafted jewelry, the popular Mud T-Shirts, live music and P.E.I.’s favorite waterfront summer nightclub. Not to forget boat tours. The ‘pie’ was turning into a surprise and we relished the inclusion. The smallness of the island simplifies movement from one end to another and from Charlottetown we drove along lush meadows and farmhouses towards Cavendish in the North Shore region of the Island. Cavendish is the summer playground of visitors lured by pristine landscape and beaches looking out towards the Gulf of Saint Lawrence. Our target was Green Gables Cottages, the iconic setting for ‘ANNE OF GREEN GABLES’, a popular young fiction about the shenanigans of a “verbose, red-haired 11-year-old orphan Anne Shirley accidentally sent to a middle-aged brother and sister instead of the boy they had requested to help with their farm. Anne, starved for love and with a vibrant imagination, charmed the people around her. The author, Lucy Maud Montgomery, draws up on her own experiences of Cavendish where her grandparents had raised her after her mother’s death. She was a frequent visitor to Green Gables farm, the “wonder castle of my childhood”, constructed by her uncle John and aunt Annie Campbell in 1872. The Museum and Avonlea Village recreate the 19thcentury old world flavor of Anne’s adapted home, the stable and the farm. There are permanent exhibitions and stores selling ‘Anne’ gifts, candy, dolls and dresses. Young and not so young girls take turns to be seated in the horse carriage, trying out the orange plaits (wig) to capture the “Anne’ selfie. We were witness to a mini Japanese invasion with Japanese tourists picking up mementoes to carry back home. The novel and its heroine is a literary or cultural phenomenon in Japan with teen girls coloring their hair red to follow ‘Anne”. Watching my 17-month-old granddaughter run around in the Gables cottage lawns, free-spirited and joyous, I could visualize the ebullient Anne in these picturesque settings. 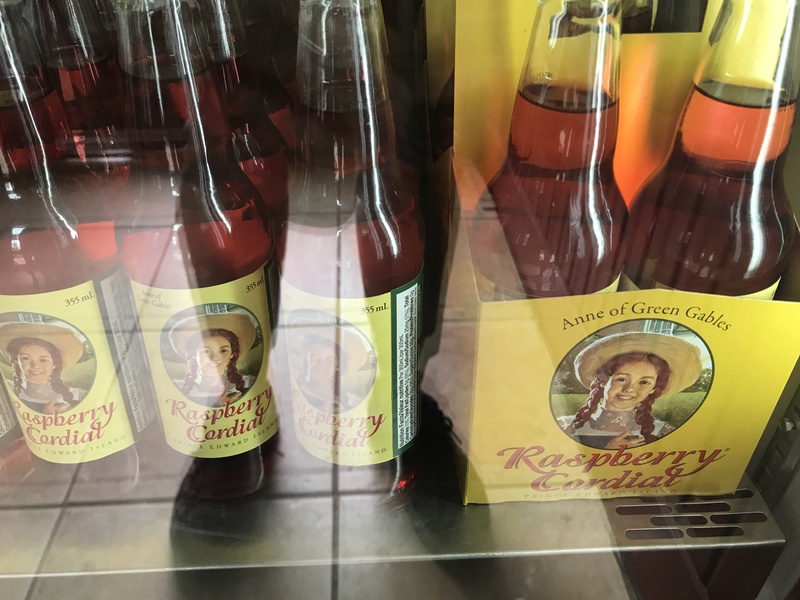 For us a Raspberry cordial, Anne’s favorite drink, rounds up the ‘Anne’ adventure. Back to Charlottetown and day-end stroll along the Promenade to watch the setting sun cavort amidst the sails of anchored boats and ships, a painter’s canvas, completes our city break. ]Day 3…. 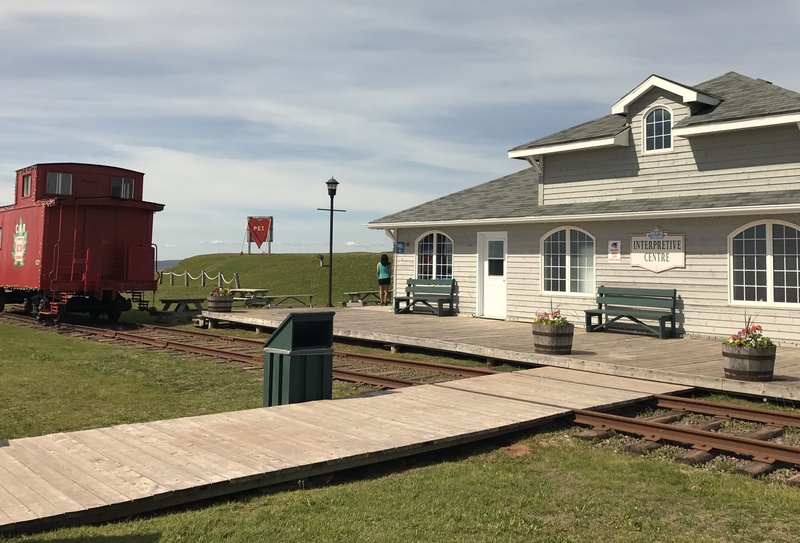 On road to Victoria-by-the-sea, a picturesque seaside-fishing village just off the Trans Canada Highway near Crapaud and half way between Charlottetown and Summerside,. The eau sobriquet adds the dash of mystique and differentiation from Victoria Island in British Columbia. Another reason was it’s ‘smallness’ was that the village was bypassed by Trans Canada Highway and its accompanying commercial add-ons. This is an advantage, for visitors, as the village retains its hamlet identity. Accessible by road, and by sea, we enter a Village waking up from its winter slumber. The welcoming quietness of handful of visitors and locals, the near empty Galleries, studios, restaurants, the tempting chocolate factory lining the cozy streets and we quickly abandon our car in favor of slow-paced meandering on tree-lined avenues. This is followed by a leisurely lunch at Beachcombers On The Wharf managed by two sisters who personally see to your food choice. Not much of Lobster eaters (PEI is famous) we did not try the lobsters suggested by them but enjoyed the sandwiches and shakes. Dessert was finger licking home-made chocolates in the tiny homely shop, Island Chocolates. The smell alone is enough to drive one into chocolaty raptures. Coffee, served on the café patio overlooking the Main Street is a refreshing antidote. Other not-to-be-missed Village distractions: the pottery display at Michael Stanley Pottery, an artist run gallery specializing in handmade pottery inspired by PEI coastal areas and nature presentation; the Victoria Seaport Museum at Palmer’s Range Light House; the biggest tree in PEI, the American Elm tree, 108 ft. height and 21 foot circumference with 129 foot canopy; summer plays during Victoria Playhouse Festival (summer) or better still appreciate the lobster fishers’ exhibit their catch on the Wharfs. The fishing village is well laid out thanks to a son of one James Baldwin Palmer, an immigrant lawyer and agent for Earl of Westmoreland, who designed the village on his father’s estate. The touristy Instagrammable pastoral opulence is visible in the sailing boats, kayaks moored in the harbour, watching fishermen haul their catch onto the wharfs or the evening interplay of setting sun and the waters. 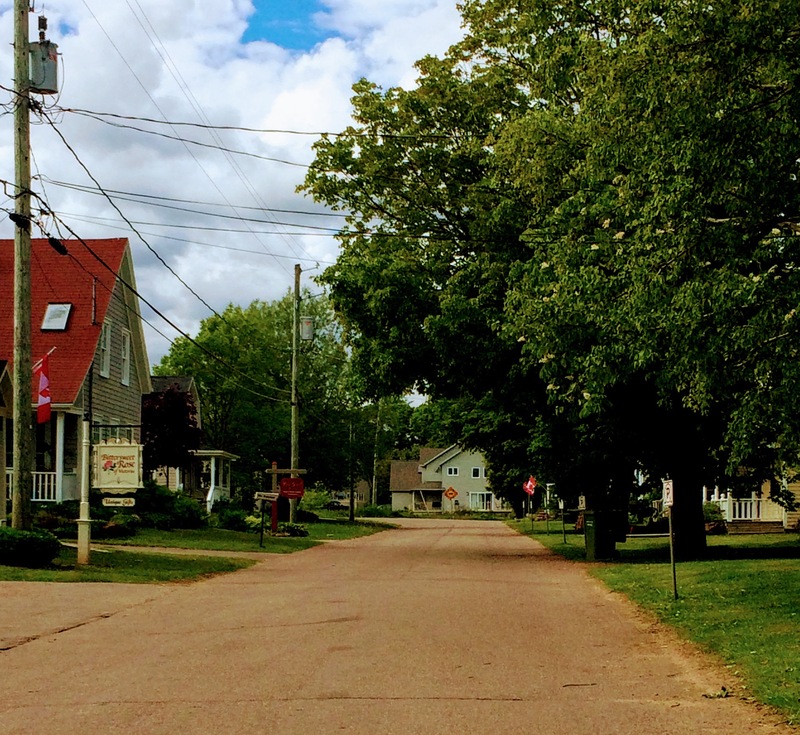 Temptation was rearing ‘its ugly head’ to stay overnight as the best way to experience the charm and intimacy of PEI is to live like the locals in its myriad small towns and villages. But we had to move on to another wonder, Bay of Fundy, New Brunswick, as hotel reservations were already made. Foot-scape: A PEI must is hiking and cycling on the various trails across rolling hills, quaint villages and seascapes. 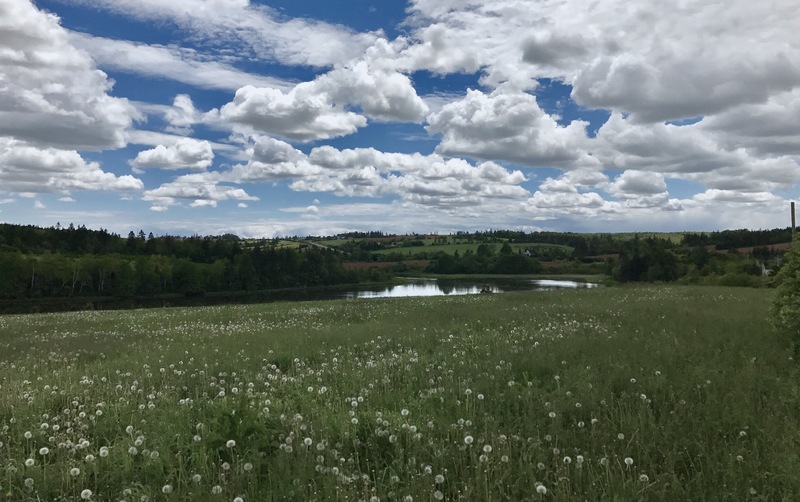 One of the most popular hikes is the undulating Confederation Trail, an abandoned railway track converted into an exploring and cycling trail during summers and a snowmobile trail during winter. The main trail, 273 km, starts in Tignish and ends in Elmira. Extensions or branches extend from heart of Charlottetown towards the waterside communities of Souris, Georgetown, Montague, Wood Islands, Murray River and Murray Harbor including the link to the Confederation Bridge in Borden-Carleton. For us it was a four-wheel adventure and from Victoria we headed towards PEI’s photogenic rolling terrain of Red Sands Shore dominating the region with a perfect rust dab on the pastoral landscape. Another pausing point is Port-la-Joye–Fort Amherst National Historic Site, an ill-fated place of struggle of two European powers, France and Great Britain, and their control of the strategic harbor. The present tranquility, as you stand atop the earthwork remains of Fort Amherst, negates the skirmishes of the past. PIE is incomplete without lighthouses as nowhere was their presence more valued than on its jagged coastline stretches. Shipbuilding was a booming industry with hundreds of sailing vessels launched and welcomed to the shores from different parts of the world. Fishing vessels from Europe and the United States fished in the rich waters surrounding the Island. It was but natural for many shipwrecks with loss to life and cargo and these lighthouses, strategically located along sandy beaches or standing sentinel atop high red cliffs, were beacons of hope for early 19th century immigrants and merchants across the darkness. There are about forty-five lighthouses still standing, guiding mariners away from dangerous reefs and into safe harbors. Of these 7 are open to public while four are house museums as the lighthouse in Victoria-by-the-Sea. Point Prim Lighthouse(1845) an 18.2 m (60 foot) round brick lighthouse was the first and one of the last of its kind in Canada. The smallest lighthouse is Covehead lighthouse on Cape Stanhope at entrance of Covehead Bay in Prince Edward Island National Park. The grounds are open but the lighthouse is locked. A plaque on the side explains the havoc wrecked by Yankee Gale in 1851 that had destroyed 74 ships and 150 lives. The red and white damaged tapered structure with decorative pediments on windows and doors stands a lonely vigil amidst rustic sandy surroundings. Chastened by the loneliness of the beach, the nothingness across the Gulf of St. Lawrence, we returned to Charlottetown. 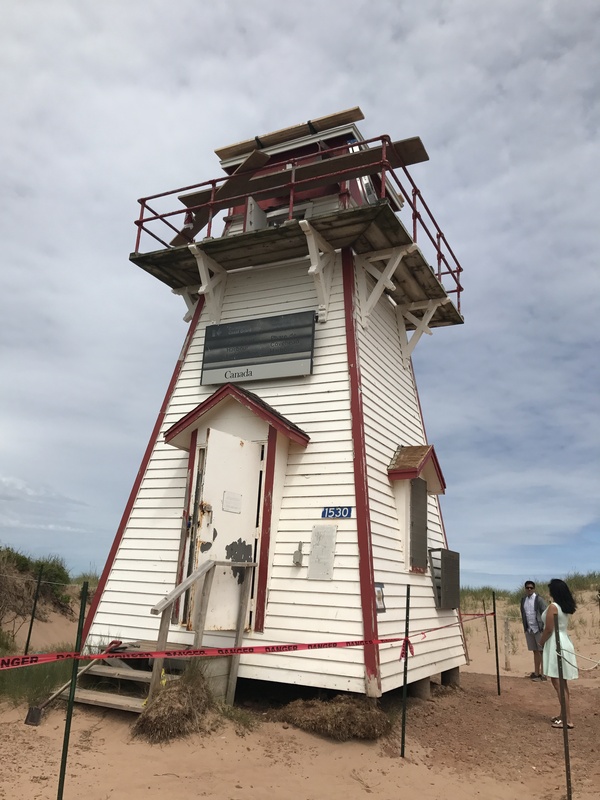 There was still so much to see and experience… insignificant things and actions, like running on squeaking sands, hikes across the Island, craft and culinary workshops….a long list that will have to wait for next trip to PEI. We end our journey in Borden Carlton Village before getting on Confederation Bridge for entry into New Brunswick. The Marine Rail Park is an ideal place to take stunning pictures of the Bridge, the fluttering red PEI pennant and the old rail cars. A final linger before exit….Gateway village for food, drinks and souvenirs supposedly reasonably priced than elsewhere on PEI. 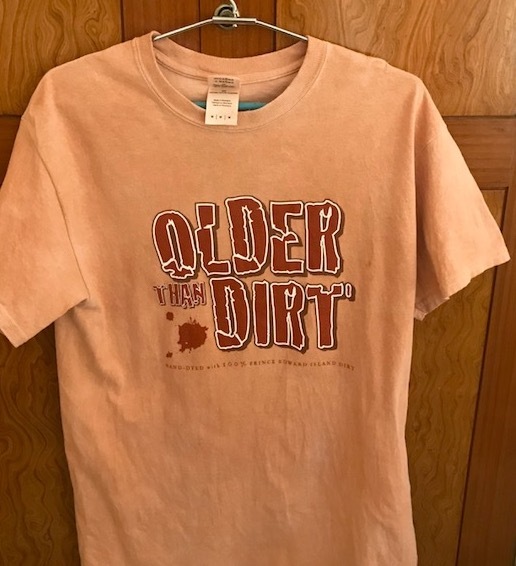 We purchased the famous PEI mud-dyed tee shirts using age-old native dyeing formula. A year later my t-shirt is a shadow of its previous clayey-red colour. Journey’s End: As we cross Confederation Bridge I glance back recalling the Mic Mac legend about the creation of Prince Edward Island. The Great Spirit said, ‘I will shape this red clay into a crescent form and it will be the most beautiful place on Mother Earth. It will become the home of my Micmac people. “The Great Spirit named the Island “Minegoo”. Micmac Legends of PEI by John Joe Sark. PEI is more than a beautiful place. It is a mélange of cultures, languages, cuisine… gift wrapped in glittering, soothing hues of nature and as an Islander wrote… “where one walks out the front door into brush fields and young woods and spring swamps”‘. I can tell you fell in love. And you have an adorable granddaughter. 🙂 🙂 Maybe I should reread Anne of Green Gables sometime. Many thanks, Indra. Thanks…I have skimmed over the surface. There is so much to see and do, depends on interest, and sadly we had 8 days. I’m looking at 19 days, but that might include Newfoundland, not sure about that part as I don’t fancy the long ferry ride. Might have to do that as a separate trip with direct flights, or see if I can work out a flight between there and Halifax. Car hire will be the issue there I think. We hired a 6 seater in Halifax and drove Nova Scotia, along Cape Breton Island (Cabot Trail) PEI and New Brunswick (Bay of Fundy). New Foundland should be done separately otherwise there is too much cramming of places.